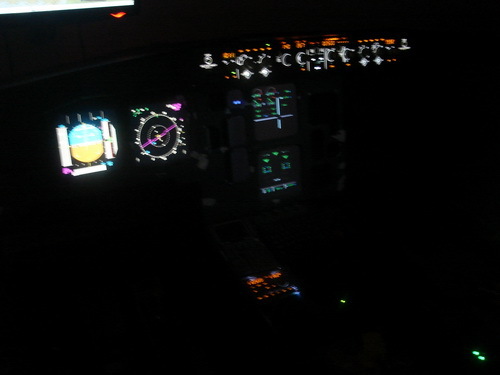 there are no pilots schools here so i decided to do distance learning and needed a sim to practice basic procedures. 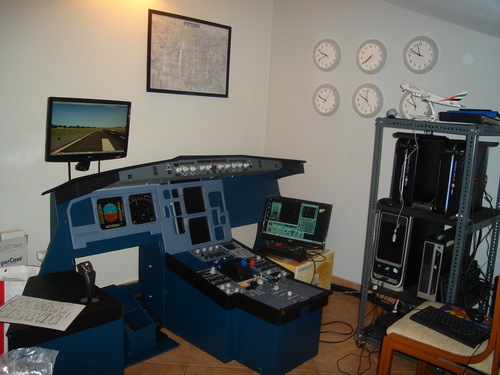 I was searching the internet on simulators and first came up Mycockpit so i became a member that was before i whent with the IR/MEP. It was amazing to see so many people sharing and helping others over this pasion of flying, my pasion was the 747-200 which i did start to build but then stoped for the IR/MEP and now i am building the A320 its a long story WHY???????? Question 1: How long have you been building? 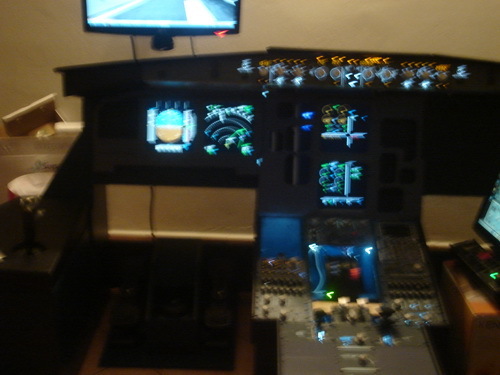 I think i started building in jannuary 2009 with the 747 and stoped for IR/MEP and started the airbus oct 2009 with a friend that saw my cockpit and fell in love with building a home sim, i was clearly going to help him with his english as he does not write or speak after some time he decided to quit so i was left with it!!!!! Well, if it was not for the internet i would properly not even know home sim building existed. You can not find many things in Greece for sim building. 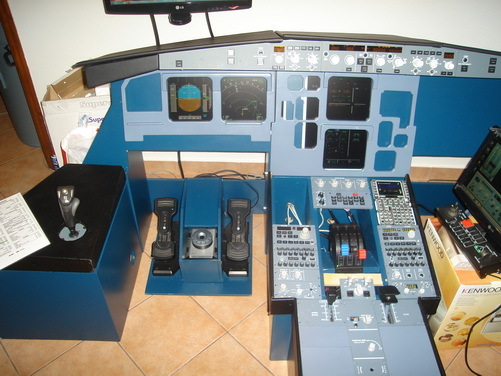 Question 3: Are you building your flight sim to a replica version so it looks the same as a real Airbus as possible or are you reproducing a general 2 engined aircraft so you have a selection of choices of what to fly? 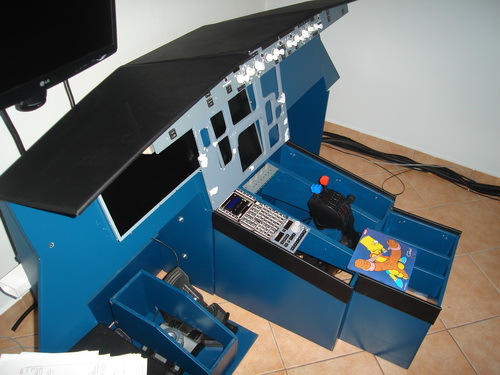 I have done some building before the A320, I am making a 1:1 SACEL of the A320 i will not be flying any other airplanes on this sim though. Question 4: What would be your favourite part of the sim? Question 5: What are you currently working on with the sim? Question 6: How many hours a week would you typically spend flying/building? Well building neary every day if i have time and flying about 10hours a week online with the sim so i beleive about 20 hours all week. 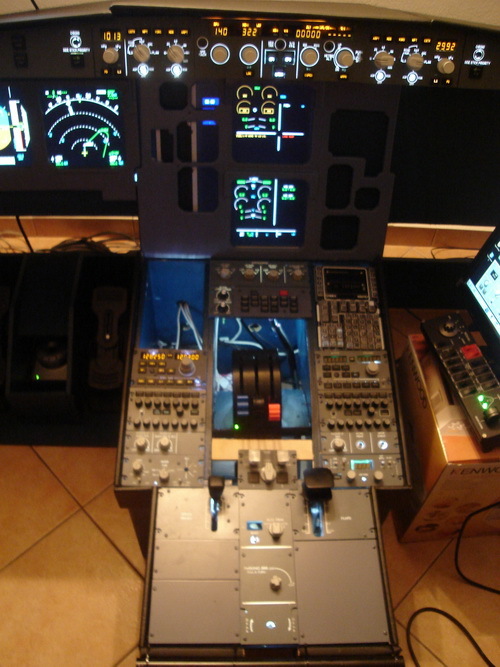 Question 7: What would be your ultimate goal with the flight sim? To get every thing working so i can do full procedures on the a320 with out fs crashing and having all the time to fix somthing!!!!! Question 8: Are you working to a deadline for when you would like the sim finished? Question 9: What are you planning on doing for visuals? I am waiting to get a projector next week for outside veiw but no more that 1 projector at the moment. Question 10: For all new builders what, in your opinion, is the most difficult part of building a sim that needs the most skill/research? 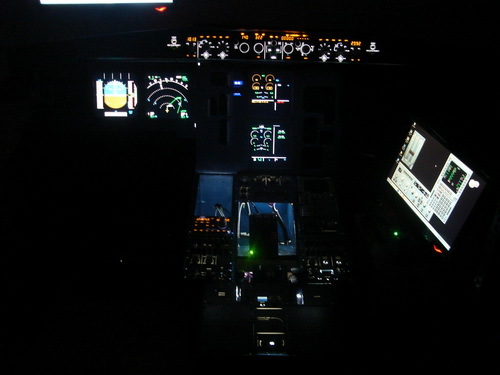 Well i found out that pc set up and intefacing with all those programes was a bit hard for me and for research there is so much information out there, the main thing i beleive is to take it slow read alot research as much as you can but try to keep the sim flyable so flying does not stop! I'd like to take this opportunity to thanks Spiro for participating in the award and taking the time to do so. I'm sure many of you have progressed well over the summer months so nexts months award will be an interesting one.